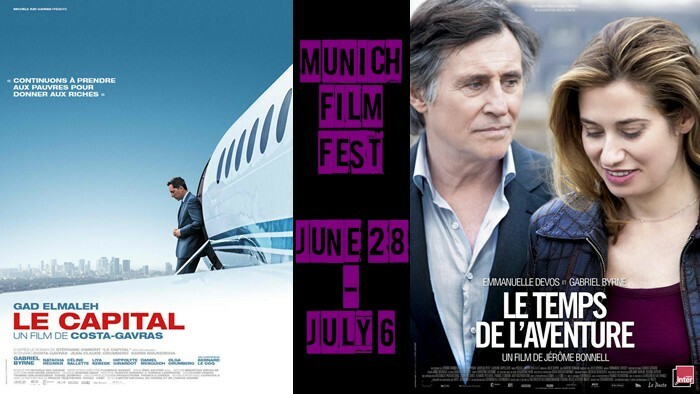 Thanks to Moondreamer, who has discovered that TWO of Gabriel Byrne’s latest films–Le Capital and Le Temps De L’Aventure (Just A Sigh)–will be screened at the Munich Film Festival (Filmfest München), which runs June 28 – July 6. The link takes you to the English language version of their website (yay!). Le Capital screens June 29 and 30 as part of the Cinemasters Section, which is appropriate because director Costa-Gavras is a Cinemaster if ever there was one! The films in this section are candidates for best international film: “World-renowned directors present their latest films in competition for the ARRI/OSRAM Award for Best International Film… CineMasters presents 16 of the most outstanding productions of the year from around the world.” Other films in this section include: Ain’t Them Bodies Saints, Everyday, Only God Forgives, and La Vie D’Adèle (Blue Is The Warmest Colour). Directors in this section include: Alejandro Jodorowsky, Michael Winterbottom, Nicolas Winding Refn, and James Gray. Le Temps De L’Aventure, directed by Jérôme Bonnell, screens twice on the Fourth of July (!) and also on July 5 and 6 as part of the Spotlight Section, which is described as “The Ultimate Festival Feeling: Stars in front of or behind the camera, feature films with massive audience potential, during and after the festival – that’s what characterizes the films in the Spotlight section.” Other films in this section include: The East, Fill The Void, Foxfire, Mr. Morgan’s Last Love, The Reluctant Fundamentalist, and Trance. Directors include Mira Nair, Danny Boyle, Laurent Cantet, and Zal Batmanglij. It is wonderful to see these two films, their directors, and their actors get the exposure they deserve! 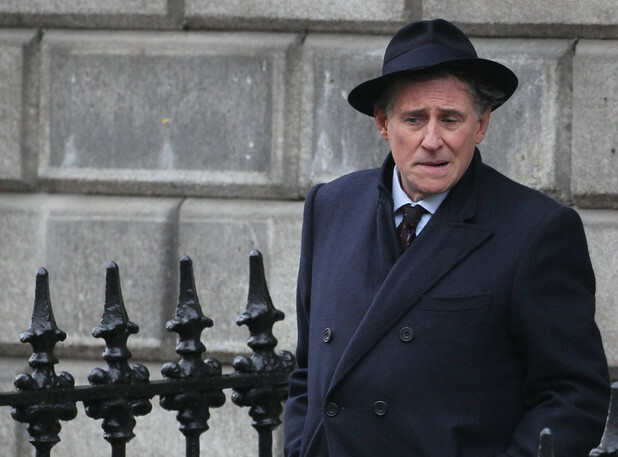 This month’s news is all about writers–including Gabriel Byrne! So fetch a cuppa tea or a coffee (or lemonade if you are feeling particularly summery), sit back, and enjoy a literary update on our man. 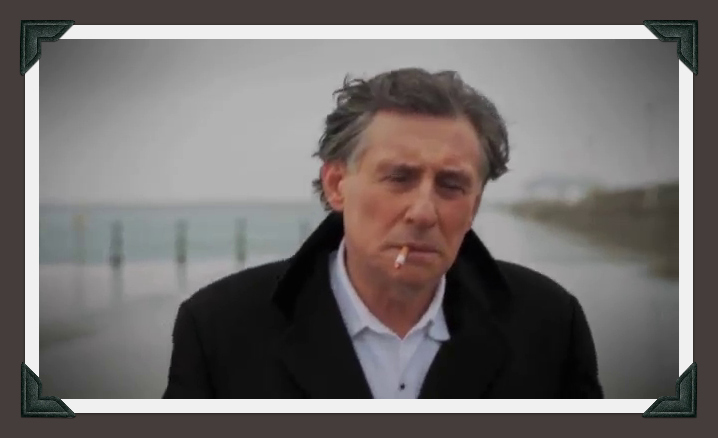 Gabriel Byrne published a (very) short story in the June/July Esquire Magazine compilation called How To Be A Man. That is what I thought, anyway. Turns out this is more complicated. Narrative4 uses story exchanges as a tool for social change. Our first project, in partnership with Esquire, is “How to Be a Man,” a collection of stories by more than 100 of the world’s greatest authors. For unlimited access to all of the pieces below, please join us by making a donation to our not-for-profit initiative. It’s a great way to enjoy spectacular short fiction and become part of our effort to change the world, one story at a time. 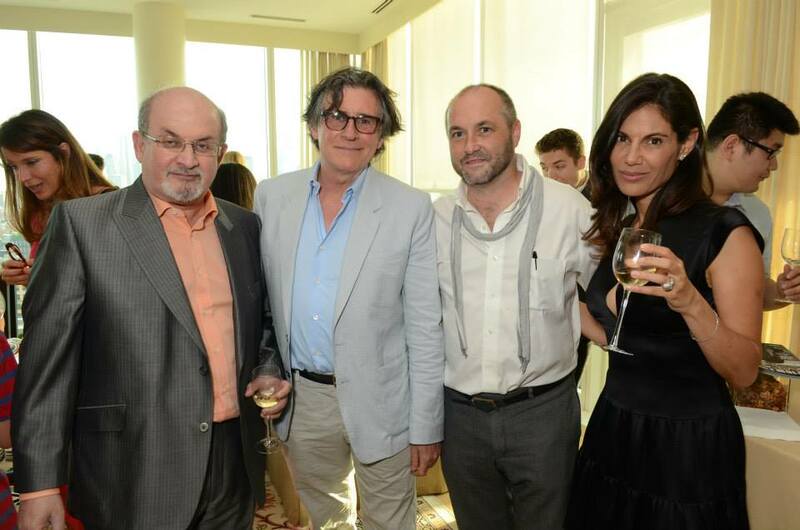 The Founding Committee includes Reza Aslan, Colum McCann, chairman and cofounder, and David Wroblewski. The Honorary Committee includes Gabriel Byrne and Salman Rushdie and many, many others. 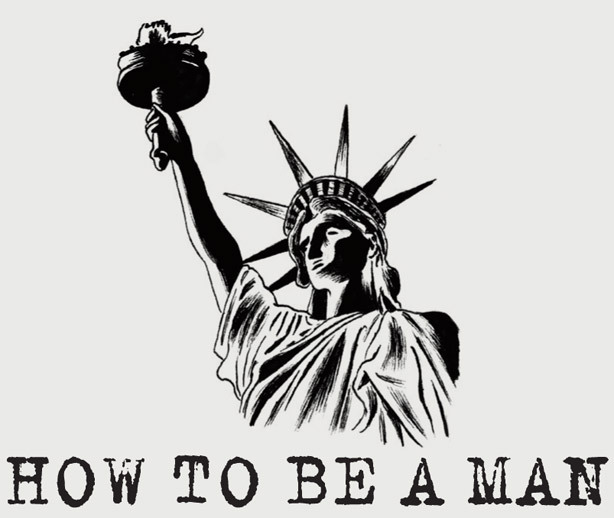 Authors in the How To Be A Man project include: Roddy Doyle, Patrick McGrath, Laura Caldwell, Ben Fountain, Téa Obreht, Michael Cunningham, James Frey, Liz Moore, Colum McCann, Salman Rushdie, Ian McEwan, Khaled Hosseini, James Lee Burke, and Edna O’Brien. These are the stories I’ve read so far. There are many, many more. Some are quite short, others a bit longer. All are touching and some are disturbing in a way that I appreciate. You can visit the Narrative 4 blog and their Facebook page to keep up with their activities. There is a great article/interview with Colum McCann at the New York Times in which he talks about Narrative4 and also his new book, Transatlantic. And now the final piece of the puzzle falls into place. This is what Narrative4 is all about. Radical empathy. Yes. I never knew Colum McCann attended my alma mater, The University of Texas at Austin. How cool is that? 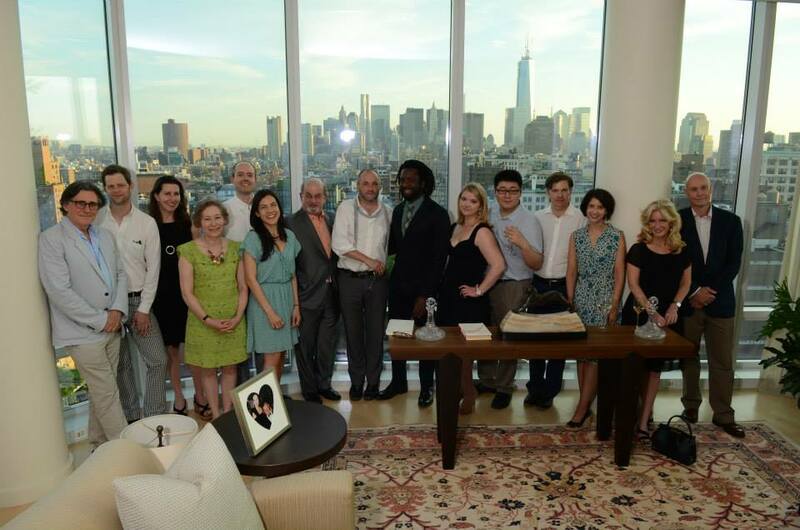 And how cool that Gabriel Byrne is spending his time with such amazing writers and activists. No vacation for him. No sir. Forum Members will find a nice surprise in the Gabriel book thread, so head on over there! Esquire on the web and Esquire on Facebook have some info, but buying the magazine is the ultimate goal, of course. Benjamin Black, AKA John Banville, is back with Book 6 in his Quirke series: Holy Orders. This is good news, of course, but it is especially good news for those of us who are eagerly anticipating the Quirke series on television. Why? The first TV series is comprised of the first three novels in the series. And now, with number 6 available in August, there will be three more books that can be adapted for Part 2 of Quirke! Yes, ok. I am getting a bit ahead of myself here, but still. One can hope. When we sit down to write, who and what we are, what we can become, resides in the words that we string together in the hope of some sort of communication. So far, when Banville writes of murder and mayhem, he becomes Black. Suffice it to say that there is a second murder worthy of Martin McDonagh at his tricksy best. The bad end messily and the guilty remain unpunished. That’s how it was in the “devil era” (Joyce’s phrase) when the roost was ruled by the “dragon men” (Thomas Kinsella’s). This time, Quirke is still heavily smoking and drinking too much. But his befuddlement seems to arise from less quantifiable sources. His ongoing relationship with an actress is becoming tepid, his usual acuity seems blunted, he is more haunted than he has been so far. Black has provided an arc of development for Quirke that will surely be grist to Gabriel Byrne’s creative mill as he assumes the part in the forthcoming TV series. The prospect of getting a belt of the crozier was no small threat in 1950s Ireland, and the power wielded by the Catholic Church provides a sinister undertone to Benjamin Black’s Holy Orders (Mantle, €15.99). The sixth in the increasingly impressive Quirke series from John Banville, courtesy of his crime-writing alter ego, Holy Orders opens with the discovery of a corpse in the canal near Leeson Street Bridge in Dublin. Leaning heavily on what the reader knows of scandalous revelations in the decades to come, Black concentrates on character and mood, deftly creating a malign and poisonous atmosphere that further disorientates an investigating hero who has long been prone to alcoholic self-medication, abrupt mood swings and vivid hallucinations – all, it would seem, the outworkings of a mind damaged in its impressionable youth by abuse suffered in a religious institution. A fascinating character, Quirke is scrupulously self-critical and all the more poignant for his awareness of his failings and the responsibility he bears for the damage he has himself wrought. Charged with foreboding, the tale advances to the funereal rhythm of a muffled drum until Black unveils the devastatingly bleak noir climax. 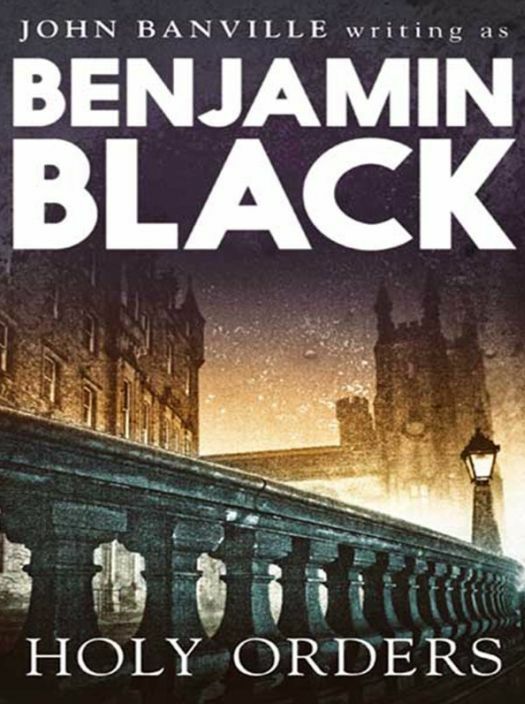 While I am on the subject, I must note that my crime novels, written under the name Benjamin Black, sprang out of a screen commission. RTÉ and ABC television in Australia had asked me to write a miniseries to be set between the two countries. The script I wrote in collaboration with Roy Heayberd, who was working at the time for Tyrone Productions, the film wing of the Riverdance company, would have made three one-hour episodes, telling a dark story of political and religious chicanery in the 1950s. After a long delay it became clear that the series would not be made, and when my agent, Ed Victor, suggested one day that I might consider doing a crime novel, I hit on the idea of turning the script into a book. Thus Christine Falls was born. The irony is that three of the Benjamin Black novels have now been filmed by the BBC, with Gabriel Byrne playing the part of my protagonist, Quirke. The first episode is Christine Falls. I have not seen it yet, but I have high hopes. To mark the publication of Holy Orders, Benjamin Black, aka John Banville, will be in conversation with Olivia O’Leary to discuss this new book, the forthcoming TV series and the film of The Sea on June 12 at 6pm at Smock Alley Theatre, Exchange Street, Dublin, followed by a book signing and a glass of wine. Tickets €5 from The Gutter Bookshop (01 6799216) or Smock Alley Theatre (01 6770014). I have read the first book in Richelle Mead’s series Vampire Academy and I can seriously recommend it to you–especially since it is summertime and you are headed out to the beach anyway. This is fast reading (one night for me) and thoroughly enjoyable if, like me, you are not afraid of vampires and you have fun imagining Gabriel Byrne playing one. The film is scheduled for release on February 14, 2014. Yummy. Principal photography has commenced [in London] on Vampire Academy: Blood Sisters, based on the first book in Richelle Mead’s New York Times best-selling series. Directed by Mark Waters from a screenplay by Daniel Waters, the film will shoot at Pinewood Studios and on location. It centres on two 17-year-old girls who attend St.Vladimir’s Academy, a hidden boarding school for the Moroi (mortal, peaceful vampires) and the Dhampir (half-vampire, half-human guardians to the Moroi). Zoey Deutch and Lucy Fry lead the cast, which also includes Olga Kurylenko, Gabriel Byrne, Joely Richardson and Danila Kozlovsky. Vampire Academy: Blood Sisters is produced by Deepak Nayar of Kintop Pictures, Don Murphy and Susan Montford of Angry Films and Mike Preger of Preger Entertainment. The film will be executive produced by Stuart Ford of IM Global and Harvey Weinstein of The Weinstein Company. “It has been the perfect storm with Vampire Academy, an amazing series of books, the writer of one of the best high school movies ever and the director of one of the greatest high school movies ever, a great crew and a wonderful cast,” added Murphy and Montford. IM Global handle sales on the film, which will be distributed by The Weinstein Company in North America. eOne have picked up the rights for the UK, Canada and Spain, while other distributors include Universum (Germany), Metropolitan (France), Hoyts (Australia), Ster Kinekor (South Africa) and Sun Distribution (Latin America). Twilight separates itself from other YA Vampire novels in one very specific way. Its author, Stephenie Meyer, has openly admitted on numerous occasions that she did not do any research whatsoever on vampires, before writing Twilight. Everything about the Twilight vamps, from their pale, red-eyed, fangless faces to their strengths and weaknesses as vampires; came entirely from Meyers own imagination and the little that she already knew about vampires. Moroi – described as benevolent vampires, they are alive, mortal and born. Dhamphir – the half-human/half-vampire offspring. Originally born from Moroi mixing with humans, and the more frowned upon mixing of some Moroi and Dhamphir. Strigoi – the undead, evil vampires, who are made and not born. The fact that she did research and that it is based in mythology and folklore shows us that even the basis for these two series are completely different. 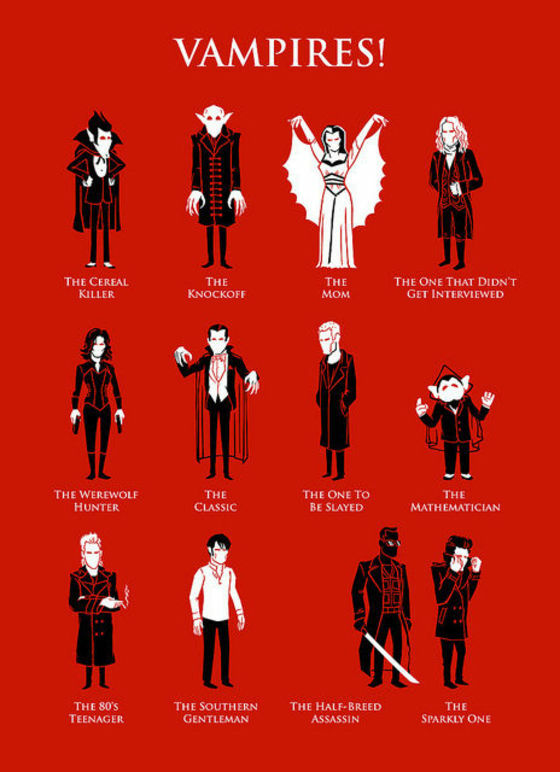 to the world of vampires, don’t you agree?! Hope you are enjoying the new features and the Paul Shipper artwork! This blog post is like a stuffed candy store. I, Anna to close Brussels Film Festival next week. Le Capital opens in Montreal on July 26. Finally. When will North American distributors see the merit of theatrical releases of tender and subtle films like I, Anna and Le Temps de l’aventure over here? We are tired of being clobbered with blockbuster films that leave us cold. Guess I’ll have to pester my local art house cinema – or move to Europe. So many good things to read about here, so I just have a big smile on my mouth and in my soul. It is wonderful that Gabriel is working on so many different things!